In review of Chitralahari, megastar Chiranjeevi has lauded director Kishore Tirumala, actor Sai Dharam Tej (SDT), Devi Sri Prasad (DSP) and other team members for their wonderful contribution in the movie. Released in theatres on April 12, Chitralahari has struck a chord with the audience and many celebs also watched it after seeing such a positive vibe on social media. Chiranjeevi, who is one of those celebs, took some time off from his busy schedule to watch the movie. Impressed with it, he released a video message sharing his review. Here are his views on the movie. Kishore Tirumala proved that he is a responsible and talented directorial, by conveyed a right message in a beautiful way through this film. Tej has delivered a good performance and his acting shows that he has attained maturity. Other artistes including Vishal, Posani and Sunil have also done good acting and made this film an interesting watch. Devi Sri Prasad has once again proved his caliber in composing the music of the film. The production house Mythri Movie makers is the address for successful movies in recent years. They have done this movie in a very dignified way. This movie showcases relationships especially between father and son very beautifully. It offers a good message to youth. If they keep hopes and brave all the hurdles with determination, they will attain success. This message has been depicted very well in the film. I would like to congratulate producers, actors, technicians all the members associated with Chitralahari. This summer release is a must watch film for everyone. Getting appreciation from Chiranjeevi is really a great thing for many young actors and technicians. 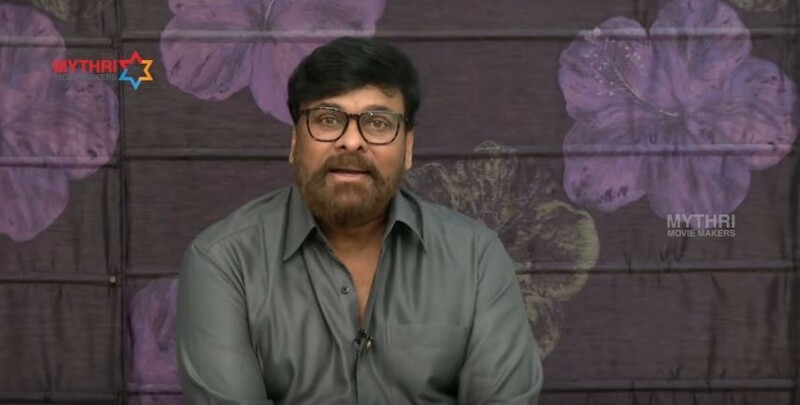 Sai Dharam Tej, Sunil, Kalyani Priyadarshan and the bosses of Mythri Movie Makers were all thrilled to see the video message of the megastar. They took to their Twitter accounts to share the clip and thank him. Sunil tweeted, "Thank you Annaya for wonderful words about #Chitralahari. Glad you liked the film and love you all ways "